With school starting up again net week, I’m breaking out my list of snack time ideas. 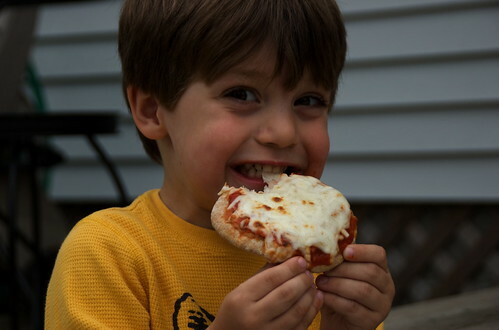 One of the kids faves is pita pizza that they make themselves. 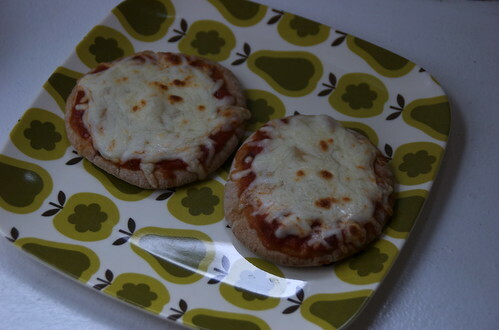 I just lay out pita bread, mozarella cheese, marinara sauce and a few toppings if that’s what they’re in the mood for (olives, pepperoni, mushrooms…). Pop ’em in the toaster for five minutes and you have some very happy kiddos.